The special guy in your life is sure to feel the love this Valentine’s Day with these thoughtful gift ideas. 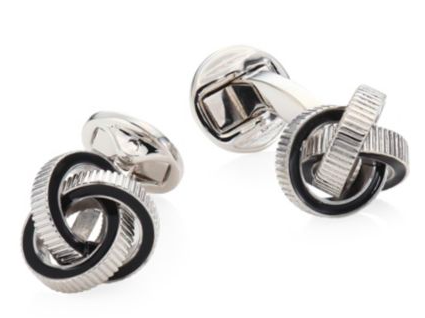 You can’t go wrong with a classic pair of cufflinks. Upgrade his usual pair with this rhodium-plated pair, perfect for work or date night. Surprise him with his favorite photo or object expertly framed and ready to hang with Framebridge’s custom framing service. Whether it’s a digital photo or vintage potcard, Framebridge can frame nearly all of the things he holds dear. If your guy is a whiskey lover, this set from Thoughtfully is sure to put a smile on his face. This kit comes with everything needed to mix the perfect cocktail to enjoy solo or while entertaining with friends and family.